Has all the properties of a supreme cowmaker who will move a herd in the right direction and leave the kind of daughters the industry craves. He presents herd bull character with added thickness and muscle shape, depth of body, docility and perfect structure. His dam is from the historic flush that produced Resource. 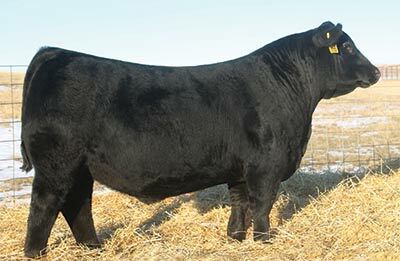 She is a headliner in the SAV embryo program and the dam of the $100,000 SAV Enterprise 7028 @ Genex.